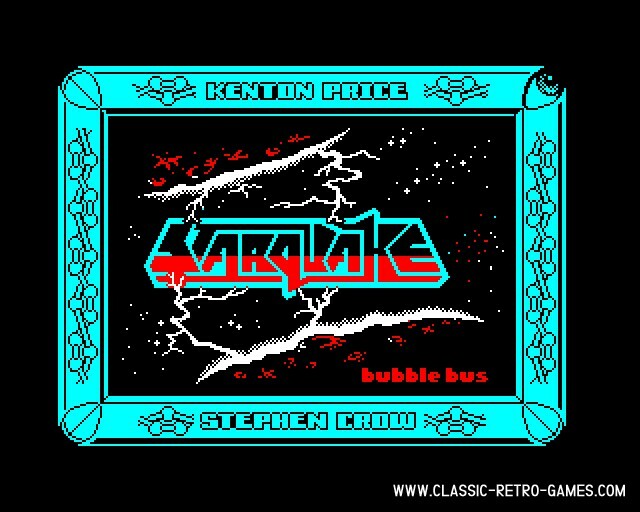 Starquake is an platform adventure published by Bubble Bus software in 1985. It was released for many different homecomputers. You control BLOB and your starship has crashed on a planet. The crash damaged this planet fix it before it explodes! Currently rated: 3.6 / 5 stars by 27 gamers.